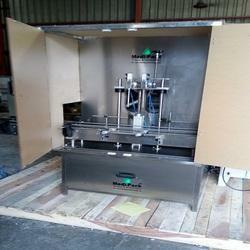 Automatic Lubricant Engine Oil Filling Machine offeredcomes backed by latest technology support and finds use in filling, capping, placing and sealing of bottles. 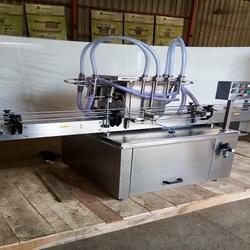 Further, the system functions through tracking filling support and provides for automatic sealing as well as no bottle no filling function for safe operations. Some of its features include advanced design and compact structure finish, allows for direct viewing operation, provide for firm sealing support, machine designed as per GMP requirements, working parameters can also be custom developed as demanded by customers.